Reading your description of sourdough baking kind of reminds me of breastfeeding an older baby/child. Can be lots of work early on but then it is really is so flexible and can easily fit in around the rest of life, even if you have to go out and eventually even if you are not together overnight, child depending obviously! It's like a lot of things that you put a bit of effort into learning how to do isn't it?! Annalisa I have never thought of making 2 batches at once and leaving one in the fridge for later – what a div I am.. thanks for the tip! Very glad to have been of service! 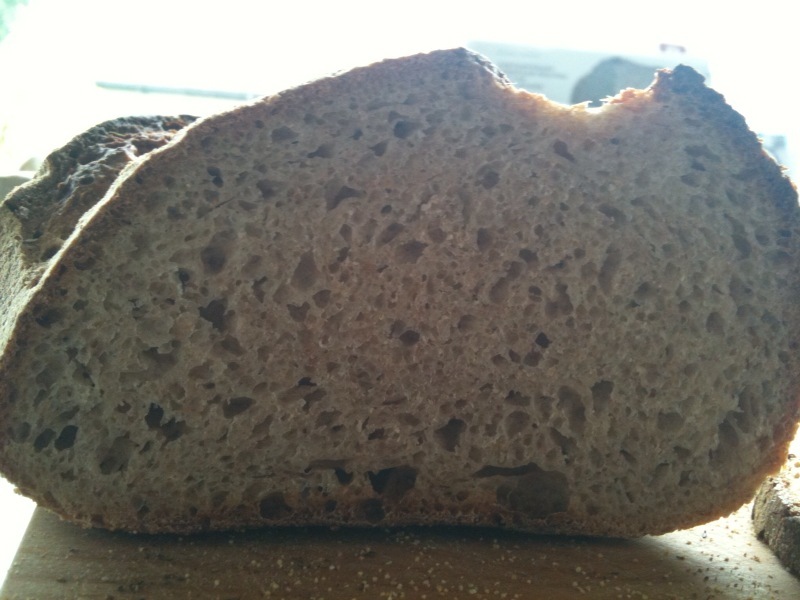 Joanna, I will try to help but not sure if I will answer all your questions correctly.So I was making Dan's Mill loaf. I made two, in exactly the way described in the book, so mixed the dough, left for ten mins, kneaded and left for two more 10mins, then 30 mins then I think two 1hr proves. Then I shaped them and put them in two 600g whicker bannetons and covered them and put them in the fridge at 4degrees. The next morning I took one out (after 12 hours or so) and cooked it and the other I left for a further sixty hours. Make sense?